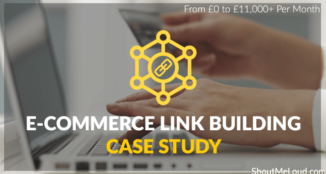 This case study outlines the exact link building steps we took in order to increase traffic and subsequently take our clients e-commerce site from £0 to over £11,000+ per month in revenue. The site is in the food niche and the profit margins are high. You’ve probably read a lot about SEO and link building. Whitehat, Blackhat, Greyhat, anchor text distribution yada yada. Much of what you have read has most likely been conflicting, which may have left you a little confused as to the best way to get backlinks to your website. The truth is there is no one size fits all strategy. Every industry and campaign is different and the way you go about obtaining backlinks should reflect this. How Do I Find Out The Best Backlinking Strategy For My Industry? The simple answer is to find out what your top-ranked competitors are doing. 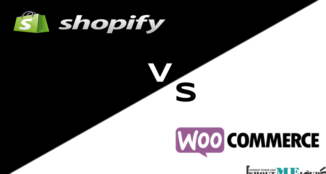 If you aren’t sure who your main competitors are, it’s probably a good time to find out. A simple search for your main keywords in Google will provide you with the answer and from there you can start analysing the sites and find out exactly what they are up to. Let’s take two examples in two very different niches, to confirm the point there really is no one size fits all link building strategy. 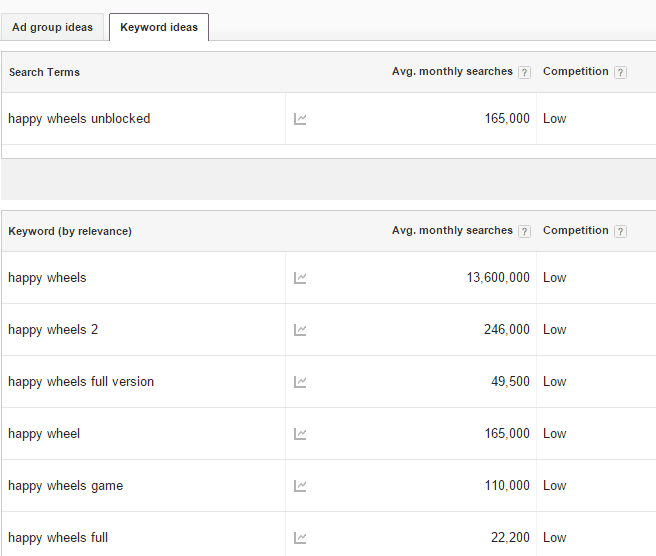 The games niche is huge, tens of thousands of terms, many huge search figures. 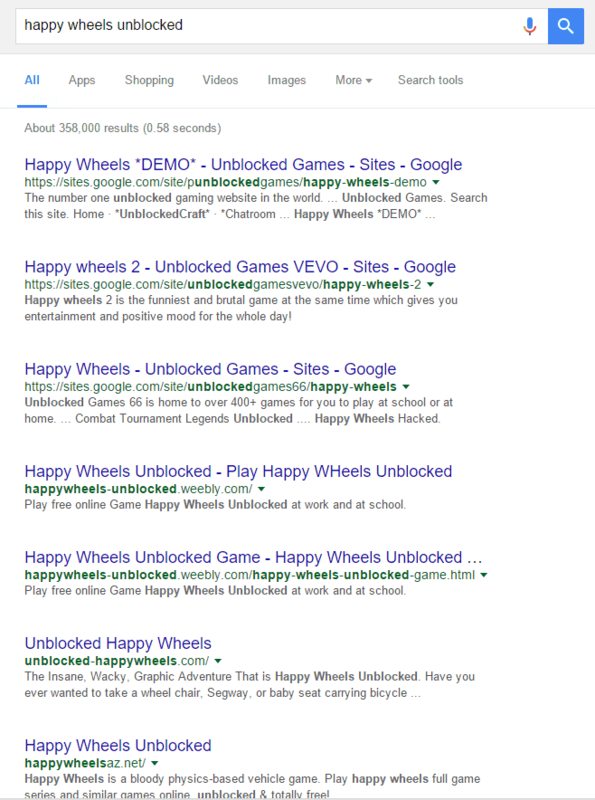 If we search “happy wheels unblocked” in Google we can see the search results dominated by Google, Weebly and Wix sub domain sites, which is interesting if you were looking for good niches to do some parasite SEO. 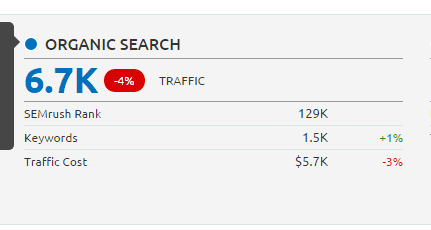 If we take the first standalone domain we can see US organic search figures at 11.8k (mobile) and 6.7k (desktop) – which is only a conservative monthly estimation of the traffic. Either way, the data reflects there is money to be made here. The next step is to put the domain through Majestic or Ahrefs. I use Majestic, it’s just a matter of choice. 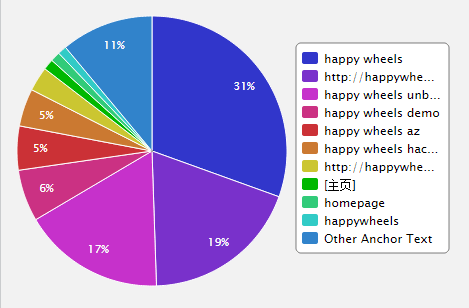 31% for “happy wheels”, which probably contradicts a lot of what you have read and reiterates the point that every industry is different, including the amount of times you should use your main keyword as your anchor text in order to rank highly without getting penalised. The backlinks to the site also contradict what could be described as “quality” “relevant” and within “Google’s guidelines”. Analysis tells us blackhat techniques are most definitely working in this niche. Let’s take our second example a food sub-niche and similar to our clients. 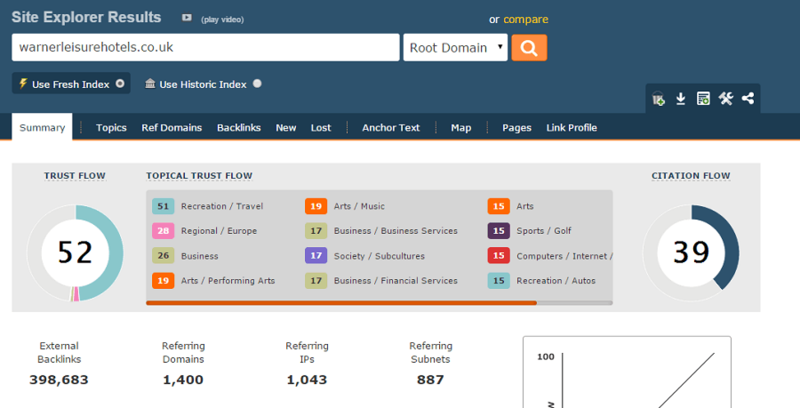 Analysis of the links indicates relationship building, free giveaways and high-end directory submission. As you can see two very different methods to reaching the top in two very different niches. If you are going to use any blackhat techniques on a client site, the only rule is they know exactly what you are doing, agree to it, are fully aware of the risks and you have a strategy in place in case things go wrong (which thankfully doesn’t happen often). Offering discounts to organizations is a great way to build links and also to generate some direct sales. It’s a pretty simple tactic in which you approach organisations which offer their members discounts and pitch your own discount on the products or services you sell. It’s always best to target organizations whose members will likely be interested in your products. 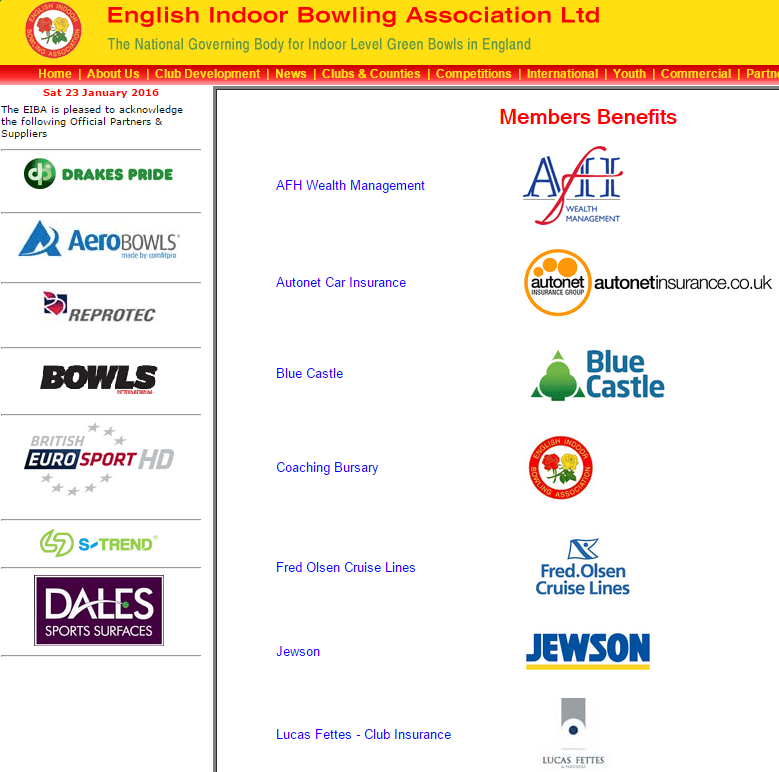 Further opportunities can be found by analyzing the backlink profiles of the organizations already listed on the member’s page. I’ve read recently that Google is clamping down on this technique and that all backlinks provided should be no followed. The truth is if every single link you work hard to obtain is no followed, you are going to rank for nothing. Much like many things in life it’s about common sense and doing things in moderation. 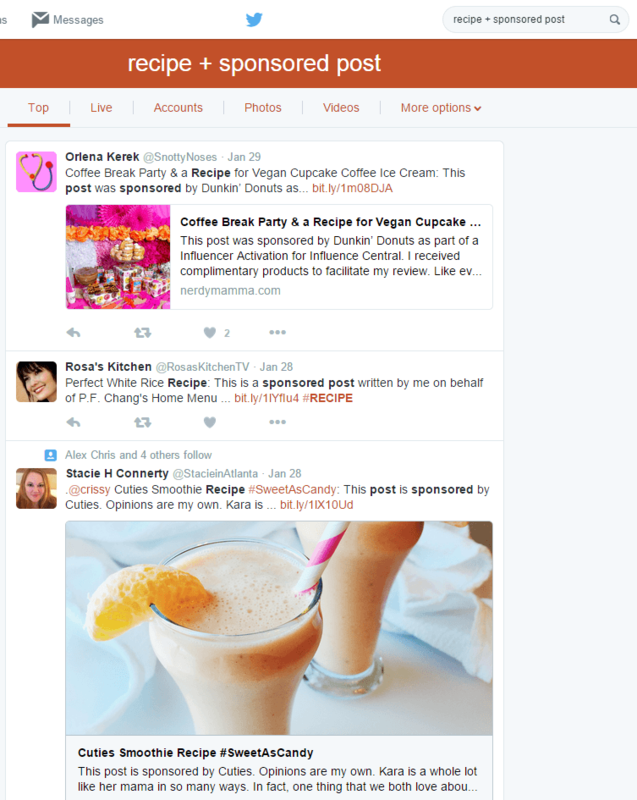 Offering something free to influential bloggers in your niche is a great way to get some promotion and build links. While many companies have money to burn and can afford to send out free stuff worth hundreds of dollars to bloggers I would call anything but influential, I prefer to pick and choose. Once you have found some good sites that have provided reviews, reverse engineer those websites to uncover further opportunities. Sponsored posts are much like guest posts, except you pay for the privilege of posting your content on someone elses site. While in an ideal world we would have titled this section “Guest Post” and published our content for free, you will often find this isn’t a viable option for commercial businesses. While many bloggers in the food niche, were more than happy to accept guest posts from their fellow bloggers, they were a bit more reluctant to allow us to publish our content without receiving some cash first! Much like the free giveaway tactic, be prepared to do some analysis on the site you are thinking of publishing on. You can also find a list of blogs for guest posting over here. While many of the low quality, spammed directories got targeted by Google a few years ago and were de-indexed, directory link building is an easy and solid way to obtain quality links. We prefer to submit to industry-specific directories and also pay for the privilege, which normally costs between $20 – $100. While a paid directory normally indicates it is going to be of a higher quality, we still check the metrics and also look for opportunities that represent a little more than a directory. By that I mean you will see industry specific articles, information, images and videos on the site. Here is the list of manually verified 131+ directories to submit your domain. Turning non-linked mentions of your business is an easy and effective way to obtain some links. 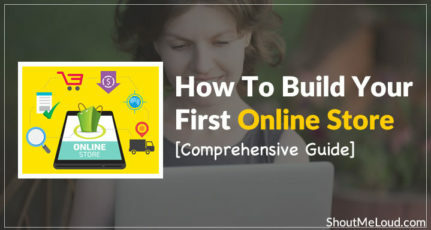 This link building method worked for us because our client was reasonably well known for the bricks and mortar side of the business. It’s important to note that if you are a brand new e-commerce company it’s highly unlikely you will be able to find any mentions of your business. In order to find mentions you could use BuzzSumo or Mention, both tools will provide you with notifications of when your brand is mentioned. Hopefully, you found this guide useful and can use some of the techniques mentioned to build links to your own website. 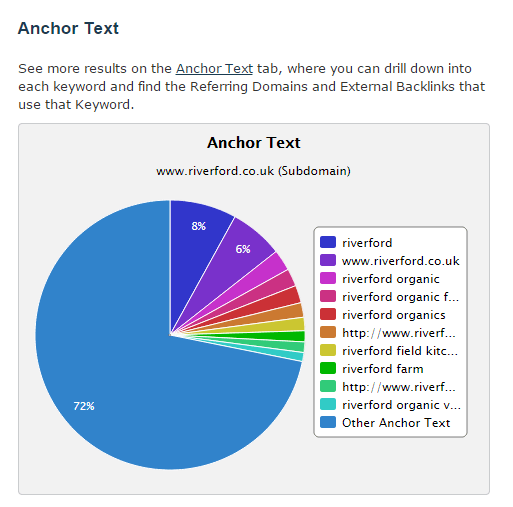 The full case study, which includes sections on keyword research, email marketing, on page SEO and various other things. Don’t keep the good stuff hidden from your friends. Do help us by sharing it on Facebook, LinkedIn or anywhere you like. James Brands is an SEO and digital marketing expert at WilliCreative a digital marketing agency based in North Wales UK. What an in-depth case study!! I am very much impressed with the result. Thanks for sharing up such a nice thought. Thanks Tanmoy, the client is also impressed with the result, which is the most important thing. Fantastic post. I am also considering this post is very helpful for micro niche blogs also. A lot of what I spoke about and did could be used to build and optimise micro niche sites yes. It’s not really that complex. It’s just a case of taking action and sticking with it. Things don’t happen overnight, you have to keep grinding and working at things. Thanks for your comment – hope you found the post useful. Hey James, Very informative post and this case study really help me to improve my eCommerce site’s link building strategy. Thanks again for it. Such a cool case study! You can increase the exposure by giving away products. I’m certainly going to use this case study for couple of sites. Really appreciate you for sharing this data. Thanks Suresh, good luck with your sites. How long did it take to achieve these results? 4 weeks to start generating some revenue, 8 months to get to £11,000+ per month. Very informative. My question is; how long does it take to see results? In general the time it takes to see results is dependent on a number of factors. 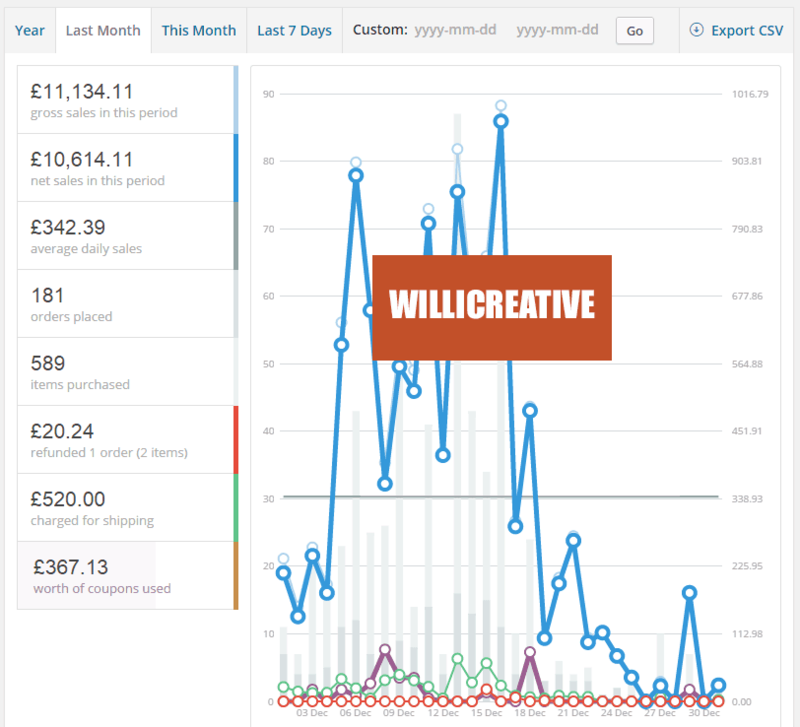 In this particular case it took us 4 weeks to start generating revenue, 8 months to get to £11,000+ per month. Glad you found the case study informative – thanks for your comment. Wow.. What a cool and detailed case study. I have learned so many things from this one. Thanks a lot For such a informative blog , I will apply this to my website and I hope that I will surely get positive result , Can regular blog posting will help my website to rank in the first page of google . So, basically you made sales on dec before Christmas and New year. 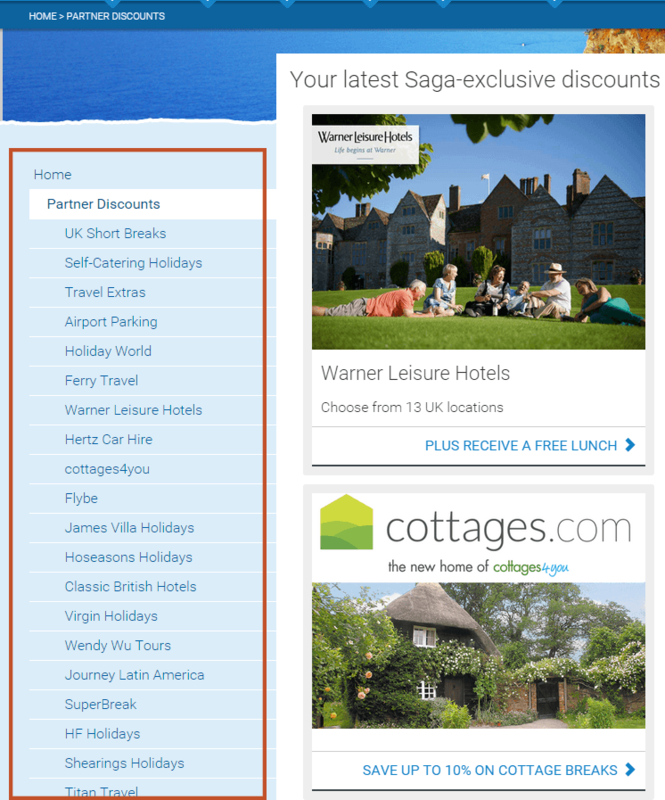 Is your site still ranking and generating income? The link at the end to the full case study displays a full years revenue overview for the site. This clearly displays the growth over the full year, not just December. Not really sure about SEO, but been reading around that building links is the most important to increase site rank drive more traffic. 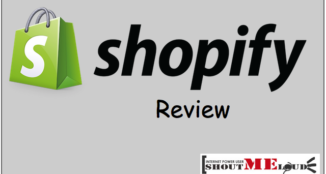 Thanks for the interesting case study, I am going to read the complete case study as I am an e-commerce geek myself. Thanks again for writing this useful article. Hi James, thanks for sharing this case study. But Right now I’m really afraid to launch any link building campaign for our company. 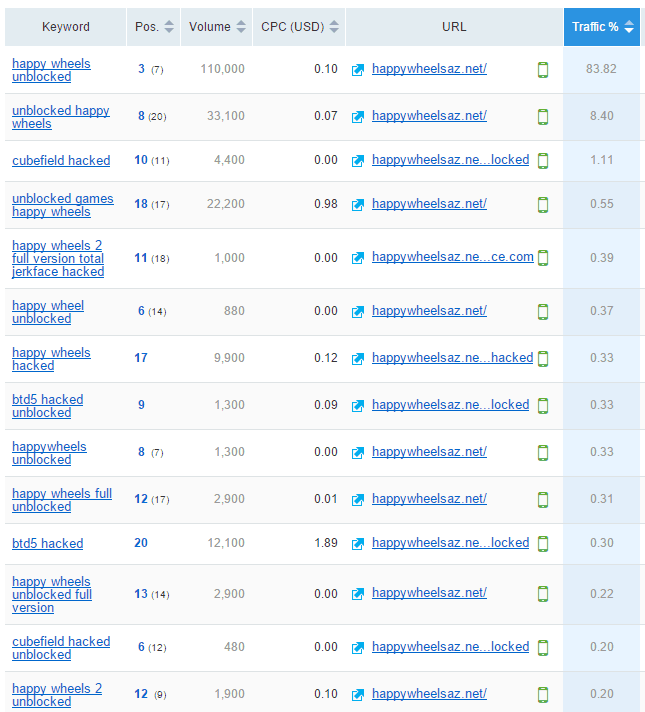 Each and everyday google algo’s are being changing, one of our client got hit by panda with some “good & paid” directory backlinks in his niche. So as my thought, I’ll stay far away from them, & try others. also i get backlinks from high PR website and also i get these links manualy and naturally but unfotunatly my keyowrd are taken down day by day. Great read! Just a couple questions I’m curious about. How many links did you build for your client before you started seeing results? Also, what about the TLD split? Ex. 30% org, 20% edu, 50% com.